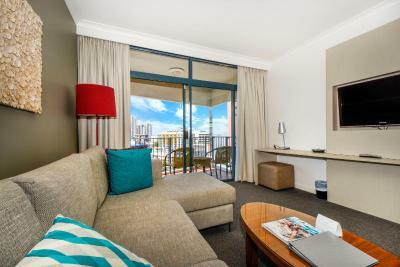 Lock in a great price for Mantra on The Esplanade – rated 8.5 by recent guests! 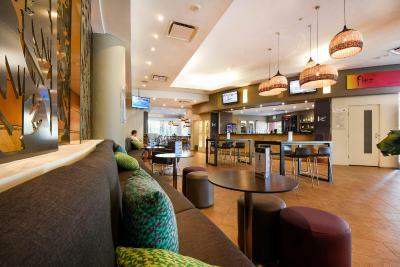 The location was great, the hotel was simple in it's offerings, and very dated, but comfortable enough. 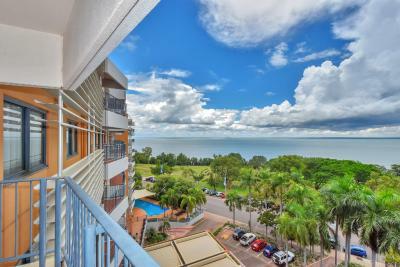 It was the location that was ideal - very accessible and close to the waterfront areas. excellent value. big suite. w/d. full breakfast.close to amenities. 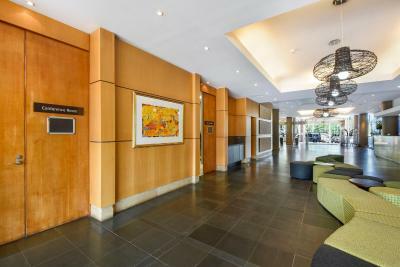 Friendly and welcoming staff, our one bedroom apartment on level four was roomy, clean, no unpleasant smell, and well appointed. We had everything we needed in the kitchen to make a meal. 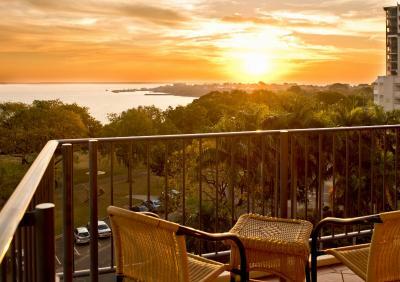 In the mornings we enjoyed our breakfast in the balcony facing the sea while watching the naval ships slowly drift away, and in the afternoons we sat on our cane chairs and watch the magnificent Darwin Sun set over the horizon. Reasonably quiet, we stayed five nights from midweek including weekends, early September, no loud music or noises from other guests. 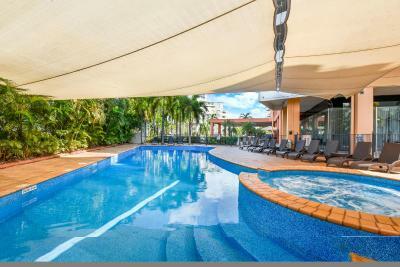 Location is close to supermarket, restaurants/clubs, car hires, a church or two, most things are within walking distance. Staff were extremely helpful and assisted us in many ways. My wife needed a wheelchair while there and it was found and delivered within an hour. 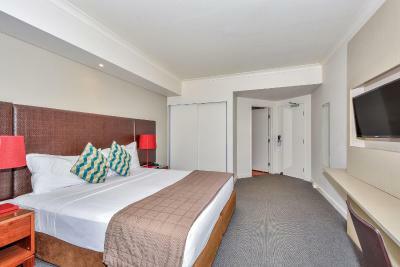 Great location on the Esplanade but close to CBD. 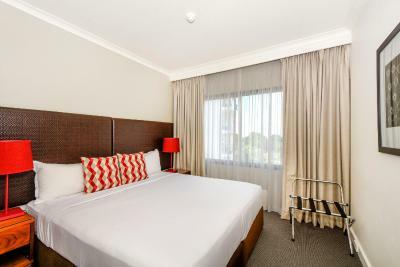 Great location, very comfortable room, lovely staff . Menu for the cafe looked very good. Always enjoy our stay here as clean facilities, close to everything and best people. Good location, friendly and helpful staff. 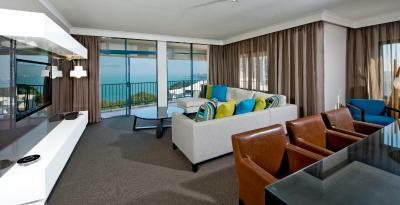 Rooms are comfortable and well appointed. 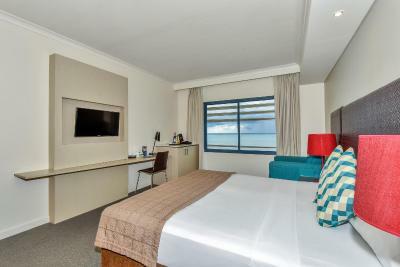 We are from Darwin but wanted somewhere to stay for the night while we attended an event in town. It was a lovely stay and we were upgraded which was also a nice surprise. The room was clean, quiet and comfortable. The staff were also helpful. We know the area already but the hotel is right in the middle of the bars and restaurants. We didn't need to use the car while staying there because we walked everywhere. We have stayed at other hotels in town and this is by far the best. 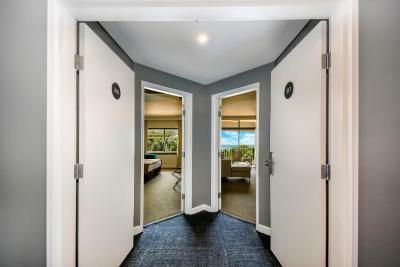 Mantra on The Esplanade This rating is a reflection of how the property compares to the industry standard when it comes to price, facilities and services available. It's based on a self-evaluation by the property. Use this rating to help choose your stay! 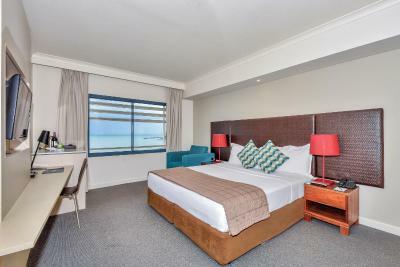 One of our top picks in Darwin.Mantra on the Esplanade is in central Darwin, overlooking Darwin Harbour, just a short 2-minute walk from Mitchell Street. 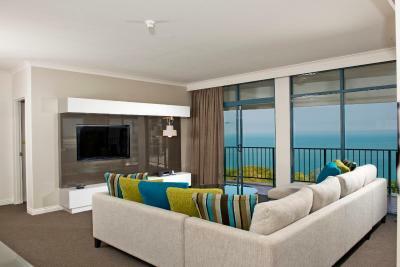 It features panoramic views from most rooms and apartments. 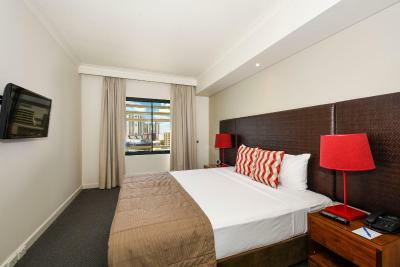 Accommodations include 2 and 3-bedroom apartments, with well-equipped kitchens including a dishwasher. 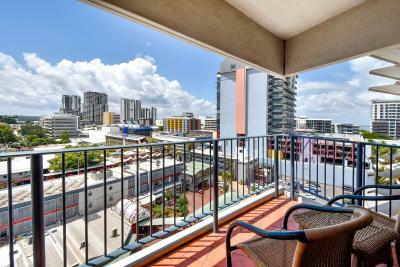 All apartments feature a balcony with a view. 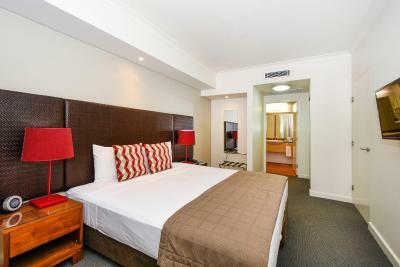 There are also spacious hotel rooms with satellite TV and modern amenities. 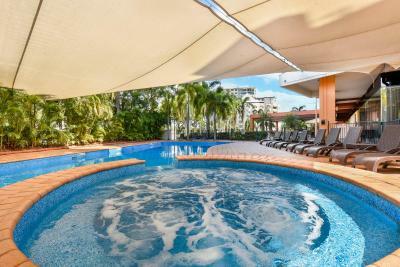 Darwin Botanic Gardens and Aquascene are within walking distance of the hotel. Darwin Train Station is 5 miles away. 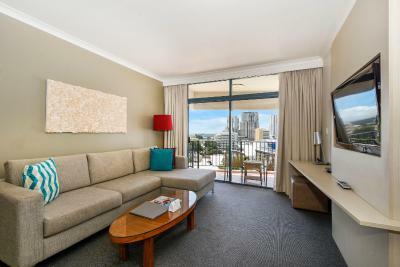 When would you like to stay at Mantra on The Esplanade? 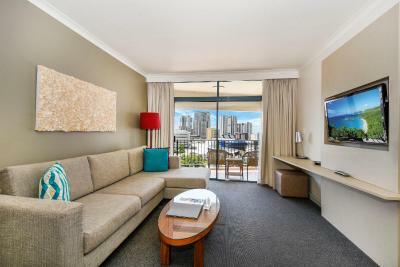 Spacious self-contained apartment with city views and a private balcony. 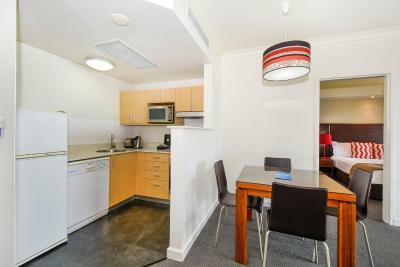 It has a fully equipped kitchen and laundry. Please note that housekeeping service is not offered for this stay. This apartment features a balcony, washing machine and electric kettle. This apartment features a mini-bar, electric kettle and air conditioning. This family room has a balcony, toaster and kitchen. Please note that housekeeping service e is not offered for this stay. This apartment features a balcony, stovetop and cable TV. 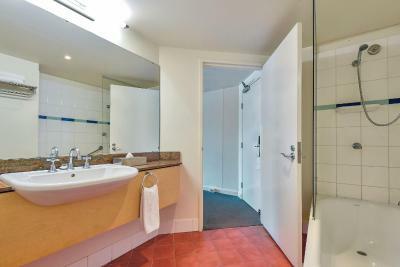 This apartment has a electric kettle, spa bath and mini-bar. House Rules Mantra on The Esplanade takes special requests – add in the next step! Mantra on The Esplanade accepts these cards and reserves the right to temporarily hold an amount prior to arrival. Please note that accommodations is serviced daily. The close proximity to the city. I asked for the highest available floor and got second floor with no view at all. Could not see any apartments above me being used and at $200 a night was not impressed. Maybe next time I will go elsewhere. Room was great as well as breakfast. Breakfast was great. Made friends with another table of 6 similar aged people (3 couples). Later met interesting couple in the pool. Beautiful weather. View of harbour from my 5th floor room excellent. The kitchen lacked a few essentials - tea towels, dish wipes, there was only 1 satchel of dishwasher powder. Cleanliness and comfort of the apartment was great. Excellent accomodation. Very roomy and comfortable. Will book again. Rooms outdated and need desperate renovation. We came in at 2.30am. Staff were wonderful. Room excellent. Staff brilliant helping us the next morning. Perfect central location and the three bedroom apartments are great for larger groups. 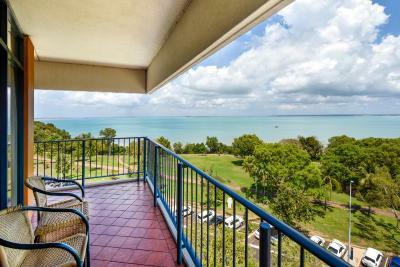 Great views across Darwin Harbour.